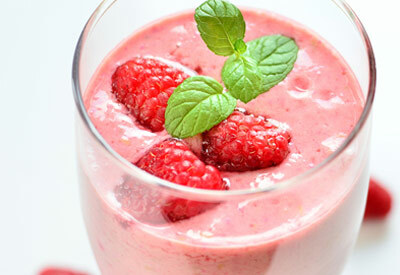 Combine pineapple juice, yogurt, raspberries and bananas in blender or food processor. Cover; blend until smooth. Garnish with raspberries and banana slices, if desired.